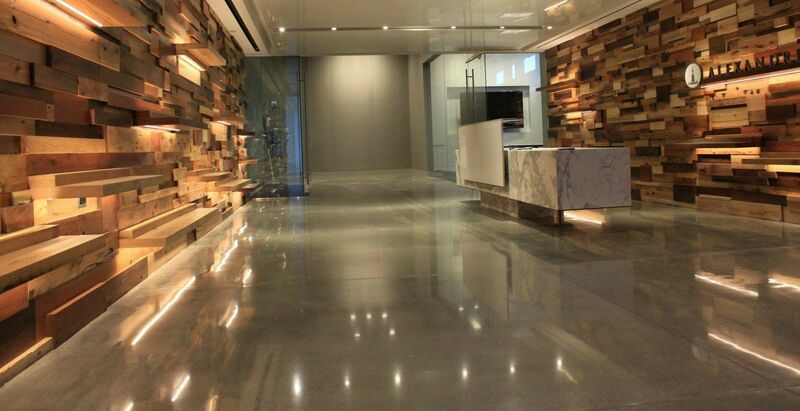 Philadelphia Polished Concrete, Inc. (PPC) was founded in order to provide the concrete market with sustainable polished concrete. PPC is one of few companies that polishes & pours concrete surfaces. The PPC method ensures floor flatness & levelness measurements within the correct speculations required to achieve a smooth, lasting polished floor finish. PPC also specializes in the correct application of stains & sealants to certify the longevity of our environmentally-friendly flooring systems. In addition to polished concrete, PPC installs architectural stamped concrete floors, concrete walls, & concrete countertops. PPC's work has been featured in national publications & has been the recipient of various awards within the concrete industry. PPC is certified by Scofield Polish Applicators & the Local Union & AmeriShop.